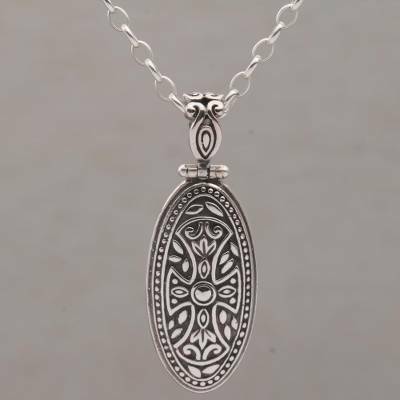 Sterling Silver Necklace with Cross Pendant and Rolo Chain, "Shield of Bravery"
A bold design of a cross on an oval pendant hangs from an eye-catching silver chain. Artisan Wayan Asmana of Bali gives the pendant a combination finish for an antiqued look, while the chain shimmers in a high polish finish. Both chain and pendant are made of 925 sterling silver.